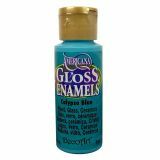 Americana Gloss Enamels - DECO ART-Americana Gloss Enamels are available in your favorite Americana colors with a beautiful gloss finish. No primers or sealers are required! Ideal for brush, stencil, or sponge. 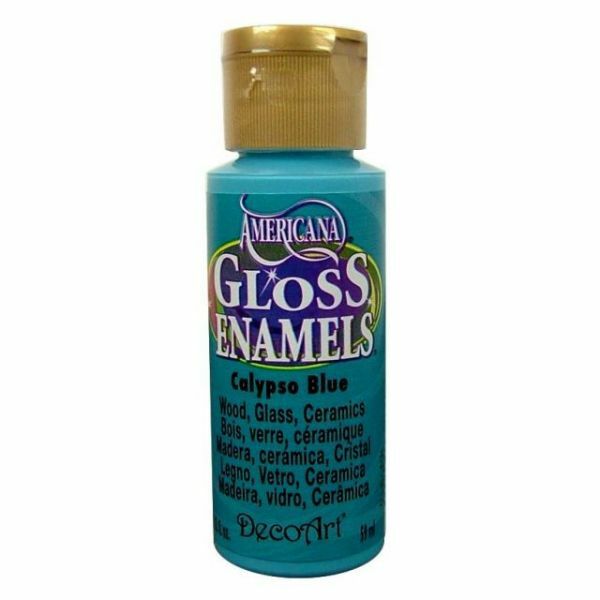 An easy one-step application makes Americana Gloss Enamels a great choice for decorating glass, tiles, glazed ceramics, and other non-porous surfaces. They can be baked in the home oven for added durability. 2 oz. bottle. Conforms to ASTM D4236. Made in USA.